Sunday was also the day of Minyo Girls’ monthly one-man live. Moreover, I had priority entrance ticket #5 which would put me pretty much front and center for the Minyo show. Now it was still possible that I could do both. Checking the schedule, Minyo Girls’ live was at 11:30, and would probably end around 1 p.m. Wasamin’s performances were at 1 p.m. and 3:30 p.m. 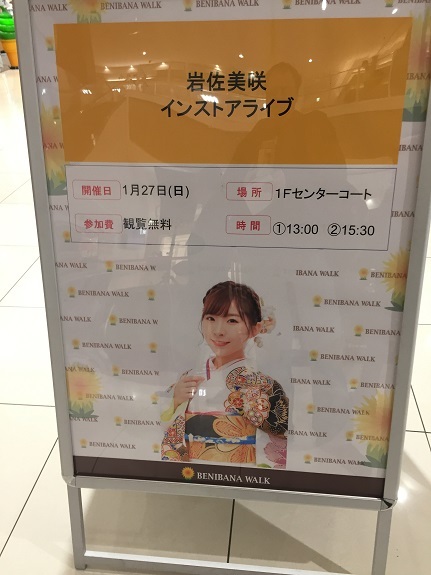 Between walking and trains it would probably take me around an hour and fifteen minutes to get from Shinjuku Marz to Benibana Walk, so I had enough time to see Wasamin’s second live. Okay…. Except the entire time I kept wishing that I didn’t have this Minyo Girls’ show to go to so I could just go and see Wasamin. It was in the back of my mind the entire time I was on the way to Shinjuku. The more I thought about it, the less I wanted to go to Shinjuku and the more I wanted to turn around and head to Saitama. I got to my transfer point at Itabashi Station; it was decision time. If I got on the Southbound train I would see the Minyo’s. The train showed up and the doors opened. I stood there frozen. The station chimes jingled, it was now or never. The doors closed, and it was settled. Sorry Mingaru, but the Wasa-love is just too strong today. Ultimately it was the right decision. If I had gone to see Minyo Girls I know I would’ve been standing there and regretting it for the entire show. Bottom line, Kami-oshi ALWAYS takes precedence. I boarded the train in the other direction, and eventually caught an express train out to Okegawa in Saitama Prefecture. I was in such a good mood that I even splurged on a Green Car seat. (Luxury train car on select JR train lines) I arrived in Okegawa quite early, and proceeded to take the long walk to the mall. It’s a 15-20 minute walk through a couple of residential neighborhoods, and a couple of small farms! 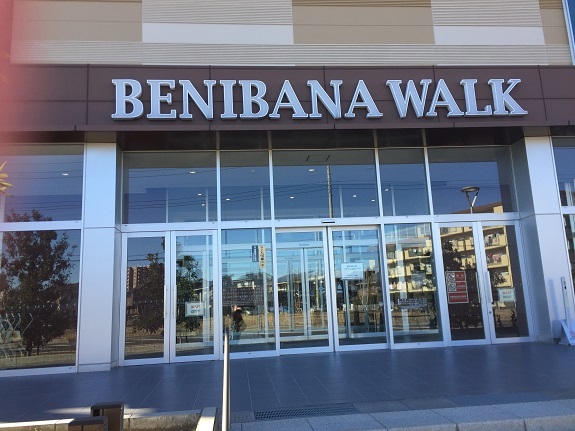 Luckily, it isn’t as far as the map makes it seem, and you can see the hulking structure of Benibana Walk from a good distance, so it wasn’t a matter of getting lost. 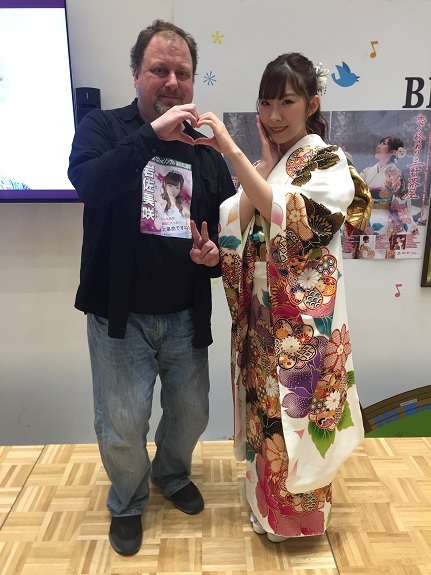 Since I was early I was able to snag a front row seat for the events, and when Wasamin’s assistant came out I told her my story about skipping the Minyo Girls show. She looked at my ticket and was surprised I gave up on such a good seat, but I told her that I really wanted to spend all day with Wasamin, so it was all good. There was plenty of time before the show, so I went upstairs to the food court for some cold Udon and Tempura. Mimicking her CD jacket cover. 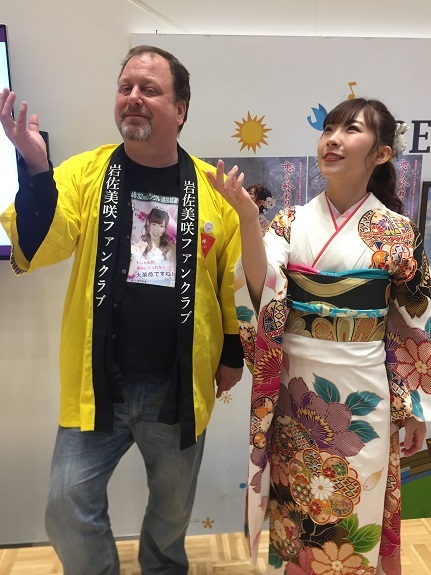 I told Wasamin how much I loved her concert Saturday night, and mentioned that my two favorite performances were Rouge no Dengon and Fuyu no Riviera, noting that I thought her version of Riviera was beter than the original. When I mentioned the first song Wasamin said “Ahh, Ghibli,” abut when I mentioned the second song she asked me if I had ever heard it prior to her concert. I said no. She looked at me kinda perplexed, so I explained that late Saturday night I looked up all the original songs from the concert setlist on YouTube. Went for the standard heart pose. Since I had an hour to digest Wasamin’s compliment, I was able to give her a proper response. I told her how happy I was to hear that she enjoyed the gift. I went on to explain that I often wonder what a good gift for her would be, and sometimes I have a hard time thinking of something. She told me not to worry, and that as long as it was from me she would be happy. (In other words, it’s the thought that counts) I told her I would see her soon, and was done for the day. It was past 4 o’clock, so I wanted to start heading back to the station to get home. But first I wanted to grab these Schezuan crackers I saw in the mall’s specialty market. 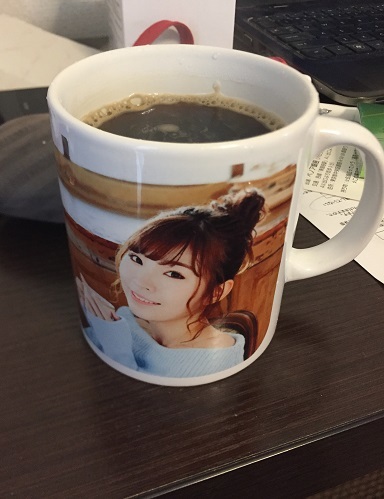 As I was picking out my stuff, two women came up to me and started asking me about my Wasamin shirt. I was wearing my 32nd SSK shirt, which gets a lot of people’s attention. In fact it was the third time some stranger came up to me that day. I explained to them I was there for the show. They asked if I was an AKB fan, and how long I have been a Wasamin fan, then one of them asked to exchange LINE contact with me, and then asked me if I wanted to go out with her next weekend. It was all pretty strange, especially since it was happening right next to the Wasamin event. But I was like “Okay, I’ll go to lunch with you next Sunday.” I have a funny feeling though that this is going to be some sort of setup. A couple years ago I went on a date, only to find out that the girl’s motivation was to enroll me into the religion she was into. So this time I insisted we meet at a train station I am familiar with, just in case I feel the need to escape, LOL. Anyway, my next Wasamin event is her 24th birthday/Mujineki 7th Anniversary celebration. Should be fun, although I am going to be late since it is in the middle of the day.